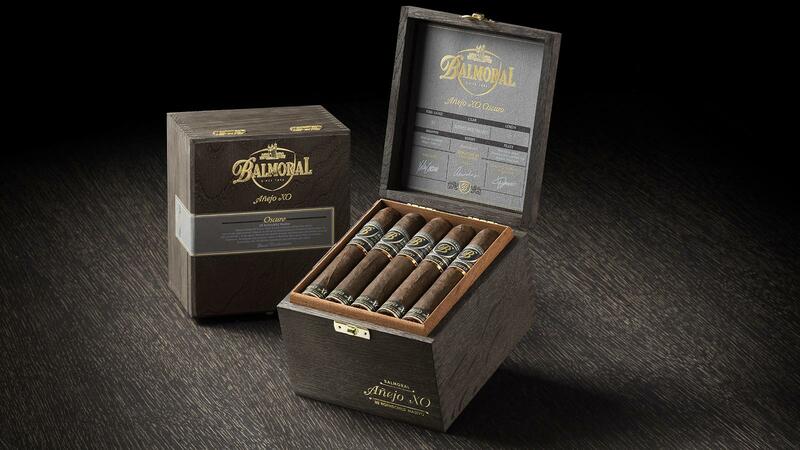 Balmoral Añejo XO Connecticut is made from a Connecticut Shade wrapper, Ecuadoran Sumatra binder and filler from Pennsylvania, the Dominican Republic and Brazil. Royal Agio Cigars, known for its machine-made Panter cigars and its premium Balmoral lines, is expanding its Balmoral portfolio with two new offshoots. 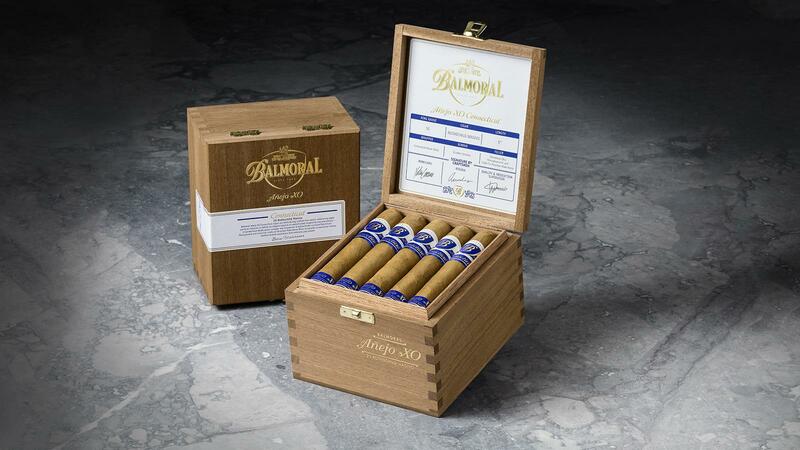 The Holland-based cigar company will debut Balmoral Añejo XO Connecticut and Añejo XO Oscuro at the International Premium Cigar & Pipe Retailers trade show next month. “It has taken us several years to find just the right super-premium tobaccos to merit inclusion into these spectacular new Añejo XO blends,” said Boris Wintermans, chief executive office of Royal Agio Cigars. Balmoral Añejo XO Oscuro has a Mexican San Andrés wrapper, Dominican binder and filler from Nicaragua, the Dominican Republic and Brazil. Añejo XO Connecticut is enrobed in a shade-grown cover leaf from the Connecticut River Valley and contains an Ecuadoran Sumatra binder and filler tobaccos from Pennsylvania, the Dominican Republic and Brazil. Añejo XO Oscuro is draped in a dark, Mexican San Andrés wrapper with a Dominican binder and filler leaf from Nicaragua, the Dominican Republic and Brazil. Both new brands will launch in the same five formats with the same price points: Torpedo Mk52, at 6 1/4 inches by 52 ring ($11.25); Gran Toro, at 6 by 52 ($10.50); Rothschild Masivo, 5 by 55 ($9.75); Corona 5 7/8 by 42 ($9.00); and Petit Robusto FT, 4 1/4 by 48 ($8.50). The new blends will debut at the IPCPR trade show next month in Las Vegas and are slated to start shipping to U.S. retailers in September. Balmoral cigars are rolled at the Agio Caribbean Tobacco Company factory in San Pedro de Macorís, Dominican Republic. Founded in Holland in 1904, Royal Agio Cigars was started by Jacques Wintermans and is currently headed up by 4th generation Boris Wintermans. Last year, Royal Agio took back U.S. distribution of its cigar brands from Drew Estate, ending a partnership that began in 2014.